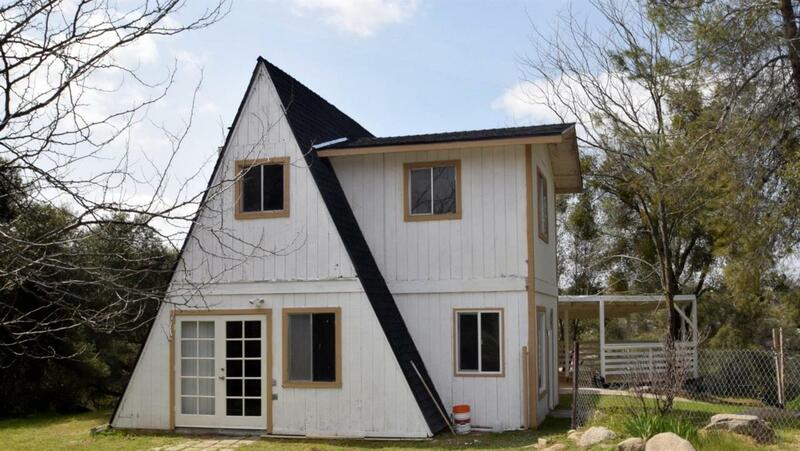 Charming A-frame and manufactured home on 4.94 acres for under $250,000! A-frame is 2 bedroom, 1 bath with loft and manufactured home is 3 bedroom, 2 bath. Both homes have been updated and have fresh updates. Listing provided courtesy of Jodie Luke of Re/Max Gold - Clovis.